At Alaska Family Health & Birth Center, we believe that offering a supportive environment with open access to education enhances the experiences and outcomes of childbirth, postpartum and family life. Stay tuned to this page, our calendar page and our Facebook page to keep abreast of current events and new classes being offered. Whether you are giving birth at a hospital, home or birth center, we believe that birth outcomes are improved by replacing fear with knowledge. This empowers you to sustain and improve your health and gives you confidence and trust in your body. Learn how to have a positive pregnancy, birth, and post-partum and give your family the best possible start. 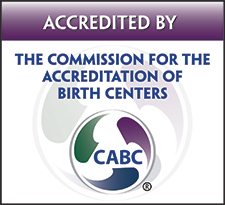 Every Wednesday from 10:00-11:30 at the birth center, we have our prenatal education group (Arctic Family circle). These classes are open to all women, whether in our care or not. There are currently 6 different sessions that relate to the following topics and are led by one of our midwives. Please see our calendar for the current schedule. This class is free to all our current AFH&BC clients and is also open to the public for $20 (may be attended out of order). Please view our calendar page to see the schedule and call (907) 456-3719 to sign up. Our Childhood Preparation Class is led by an instructor who facilitates discussions and encourages group interaction. All topics are covered — from late pregnancy through delivery and postpartum. Comfort measures and coping techniques for labor also are covered extensively. Who should go? We encourage all first-time mothers and mothers planning their first out-of-hospital birth to attend. Please make child care arrangements for your other children, so you can get the most out of the class. Please join us to connect with other families and the midwives and stay involved with the AFH&BC family! Bring your babies and a potluck dish to share to our monthly gathering. Newly delivered moms can share their birth stories. All of our current, past and prospective clients, as well as friends and family, are welcome to come. If you are a care provider in our community and would like to meet us and see our clinic please join us. We host this gathering on the last Tuesday of every month. Looking forward to seeing you! Adjusting to life with a new baby takes time—and support. We invite all of our mothers, fathers, and anyone else who needs it to join the postpartum support group that meets at the Alaska Family Health & Birth Center. This is an informal discussion group centered around the post-partum experience. Topics can include newborn care, adjustments of parenthood, self-care, relationship changes, breastfeeding/bottle feeding, body image, ect. Anyone with a supportive heart and open mind is welcome. Come to offer support or receive it free of charge. Who should go? Anyone who wants or needs extra support. Please make child care arrangements for you other children, so that you can get the most out of your class, babes in arms welcome. Prepare yourself and your baby for the best possible breastfeeding experience! You’ll be introduced to breastfeeding basics in a group session led by a registered nurse. We recommend that all first-time breastfeeding mothers take this class. When is it? 4th Tuesday of every month, 6-8:00pm. To RSVP for class, please call the instructor an leave a voice message at (907) 452-1776. Please make child care arrangements for you other children, so that you can get the most out of your class.